Private Investigators and missing persons meant for each other. 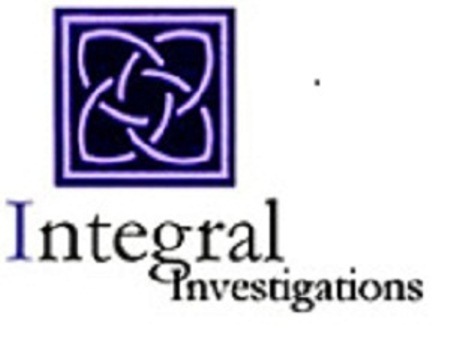 Integral Investigations is one of Sydney’s most respected investigation firms, carrying out all types of private and business investigations such as background checks, business based inquiries, and of course missing persons. Misplaced persons aren’t missing as such, just misplaced. This is one of the most common forms of missing person’s jobs we do, and generally relates to people a client has just lost track of. They aren’t really missing as such – it’s just that you don’t know where or how to contact them. Perhaps a client is looking for a long-lost family member, an old flame they would like to check in with, an old friend from school or work, or even an adoption case. Of course today’s social media like Facebook and even basic Google searches can help with this, but when you come to a dead-end (and many people do) you can call a licensed private investigator to help. Investigators have the expertise and knowledge to track these individuals to a current address and reunite you with them. This is another extremely common reason for using a private detective. More often than not a person will not want to be found if they owe money, are performing a criminal act or have criminal tendencies, are avoiding service of legal documents, or just wish to remain low-key (celebrities and people in the news are a good example). These people are still missing persons as far as the client is concerned and can be located on most occasions. All we need is the expertise, some tenacity and the financial capacity to look into the missing person. The true missing person is when a person just disappears. It may be the fact that they wanted to run away from their problems and have just extracted themselves from the situation, or suffer some sort of mental disorder or a bout of dementia. Perhaps they just need some time out and gather their thoughts – but of course the family still worry. And there is also the worst case for investigators and clients alike – the missing person is a victim of foul play – murder or kidnapping. Private investigators use a number of approaches to investigate a missing person’s case. The most common methods are all done within the office. We have a number of databases that we have access to that the public don’t; plus the training and experience to use social media and Google to our advantage. Our other main tool is the telephone – it is amazing what you can learn by talking to people with the right attitude! Of course some missing persons cases require us to get out into the real world and make field inquiries. The true epitome of a gumshoe. Perhaps it is talking to people, or showing a photograph that will gather our next clue. A missing person’s case may also require visual surveillance, particularly if we don’t want to tip off the person that we are making inquiries. If you have a missing persons case that requires a chat, please feel free to call us on 02 9460 4988 or drop us a line by email at enquiries@integralinvestigations.com.au An investigator will only be too happy to have a free chat with you about the issue. This obligation free conversation will include pricing, investigative methods and timeframe.